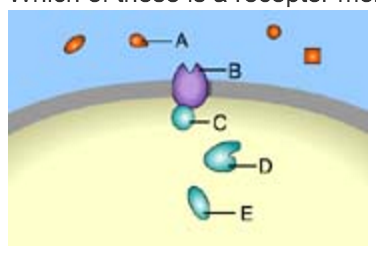 Which of these is a receptor molecule? A signal transduction pathway is initiated when a _____ binds to a receptor. The binding of a signal molecule to a receptor initiates a signal transduction pathway. Which of these is a signal molecule? A signal molecule is also known as a(n) _____. A ligand is a signal molecule. Which of these is the second of the three stages of cell signaling? Transduction is the second of the three stages of cell signaling. Which of the following provides molecular evidence that signal transduction pathways evolved early in the history of life? A. Simple forms of life, such as prokaryotic cells, utilize cell signaling. B. The molecular details of cell signaling are quite similar in organisms whose last common ancestor was a billion years ago. C. Receptor molecules have been identified in preparations of fossilized organisms billions of years old. D. The pathways in primitive organisms, such as bacteria, are short, whereas those in advanced forms, such as mammals, are long. E. Cell signaling is observed in organisms that do not utilize sexual reproduction. Yeast and mammal cells, for example, are very distantly related yet share many similarities in cell signaling. Which of the following is a substance that acts at a long distance from the site at which it is secreted? Both animals and plants use hormones for signaling at greater distances. Which of the following types of signaling is represented in the figure? To what does the term "ligand" refer in cell biology? Ligands are the small signaling molecules that bind specifically to corresponding protein-receptor molecules. A G-protein receptor with GTP bound to it _____. If an animal cell suddenly lost the ability to produce GTP, what might happen to its signaling system? A. It would be able to carry out reception and transduction but would not be able to respond to a signal. B. It would use ATP instead of GTP to activate and inactivate the G protein on the cytoplasmic side of the plasma membrane. C. It would not be able to activate and inactivate the G protein on the cytoplasmic side of the plasma membrane. D. It would employ a transduction pathway directly from an external messenger. Not all intercellular signals require transduction. Which one of the following signals would be processed without transduction? Which of the following are among the most common second messengers? These are the most commonly observed second messengers. In general, a signal transmitted via phosphorylation of a series of proteins _____. An inhibitor of which of the following could be used to block the release of calcium from the endoplasmic reticulum? Protein kinase is an enzyme that _____. Consider this pathway: epinephrine → G protein-coupled receptor → G protein → adenylyl cyclase → cAMP. The second messenger in this pathway is _____. Which of the following is true during a typical cAMP-type signal transduction event? A. Adenylyl cyclase is activated after the hormone binds to the cell and before phosphorylation of proteins occurs. B. The second messenger is the last part of the system to be activated. C. The second messenger amplifies the hormonal response by attracting more hormones to the cell being affected. D. The hormone activates the second messenger by directly binding to it. 1. A conformational change in the signal-receptor complex activates an enzyme. 2. Protein kinases are activated. 3. A signal molecule binds to a receptor. 4. Target proteins are phosphorylated. 5. Second messenger molecules are released. The cleavage of glycogen by glycogen phosphorylase releases _____. Glycogen is a polysaccharide composed of glucose monomers. Epinephrine acts as a signal molecule that attaches to _____ proteins. Epinephrine acts via G-protein-linked receptors. Which of these is activated by calcium ions? Calmodulin is a calcium-binding protein. Which of these is NOT correct? A. Kinases are enzymes that phosphorylate other molecules. B. Ion channels are found on both the plasma membrane and the endoplasmic reticulum. C. Cyclic AMP binds to calmodulin. 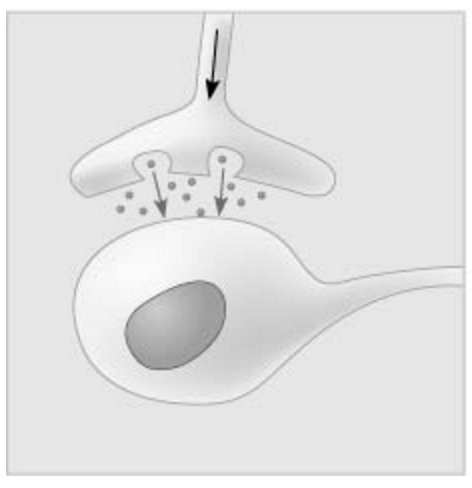 D. Tyrosine-kinase receptors consist of two polypeptides that join when activated by a signal molecule. E. Phospholipase C catalyzes the formation of IP3. A toxin that inhibits the production of GTP would interfere with the function of a signal transduction pathway that is initiated by the binding of a signal molecule to _____ receptors. Why can a signaling molecule cause different responses in different cells? A. The transduction pathway in cells has a variable length. B. The transduction process is unique to each cell type; to respond to a signal, different cells require only a similar membrane receptor. C. Different cells possess different enzymes, which modify the signaling molecule into different molecules after it has arrived. D. Different cells have membrane receptors that bind to different sides of the signaling molecule.All of the above are correct. The signal simply initiates a process by activating a membrane receptor. How transduction proceeds can be quite different for different cells. Phosphorylation cascades involving a series of protein kinases are useful for cellular signal transduction because they _____. If an adult person has a faulty version of the human analog to ced-4 of the nematode, which of the following is most likely to result? In the nematode C. elegans, ced-9 prevents apoptosis in a normal cell in which of the following ways? A. It prevents the caspase activity of ced-3 and ced-4. B. Ced-9 remains inactive until it is signaled by ced-3 and other caspases. C. Ced-9 cleaves to produce ced-3 and ced-4. D. Ced-9 prevents blebbing by its action on the cell membrane.